Designed specifically to hold all models of Zipdiscs, this versatile six-foot mini-boom arm also works well with other portable reflector and diffusion systems. It's adjusts from 36" to 67". The swivel clamps allow you to mount the transparent disc without casting the arm's shadow. 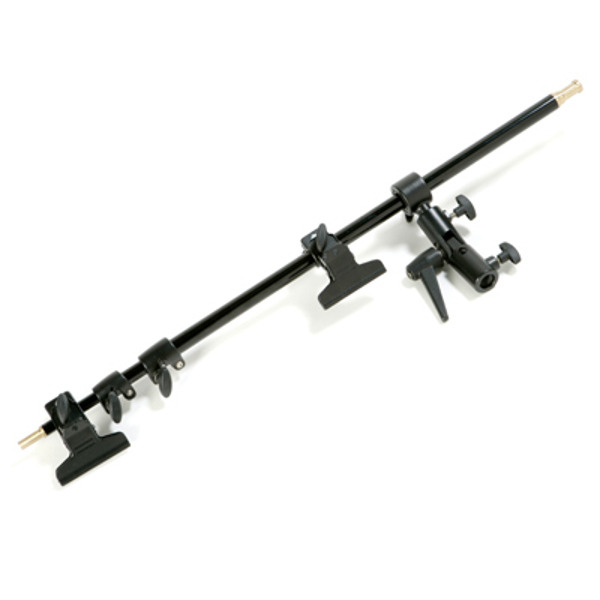 It has a solid 3/8" tip, so it can also be used as a small boom arm for a portable flash. The Telescopic Litedisc Holder is versatile enough to accommodate all light stands, and it's made of anodized black aluminum.